No Willpower? 25 Fast Ways To Lose Weight: Just For You! Here is my ultimate ''go-to'' list for when you are short on time, but are long on wanting to incinerate fat. Use this as a master list of fast and easy to implement tips and tools any mom who wants to be super-fit can use! Calling all moms who want to lose weight fast and see max results in minimum time! Here is my ultimate "go-to" list for when you are short on time, but are long on wanting to incinerate fat. Use this as a master list of fast and easy to implement tips and tools any mom who wants to be super-fit can use! Drinking tea daily will hydrate you, keep you feeling full, and give you antioxidants. Eat until you are 80% full. It takes the brain 20 minutes to register that there is no more need for food, so stop at a level 3 of fullness on a scale of 1-5. Replace your half and half creamer with skim or 2% milk. It fills you up with good-for-you fiber and will take the edge off a roaring appetite! Get creative with your favorite cheat food. Mine is nachos with the works. So I use low fat corn chips, fat-free sour cream and low-fat cheese instead of the real stuff. I slash the calories without feeling deprived. Sip instead a glass of fizzy water garnished with a lime or lemon. Opt for a house salad with dressing on the side with a bowl of low-sodium soup. Many now are trans-fat-free, whole grain, and may be available in low sodium versions. It has been proven that music boosts your mood. Therefore use it to your advantage. Add your favorite songs to your workouts to make them more effective and longer, burning more calories and having fun while you do it! It's free and keeps you agile, fit, and you can do it anywhere! 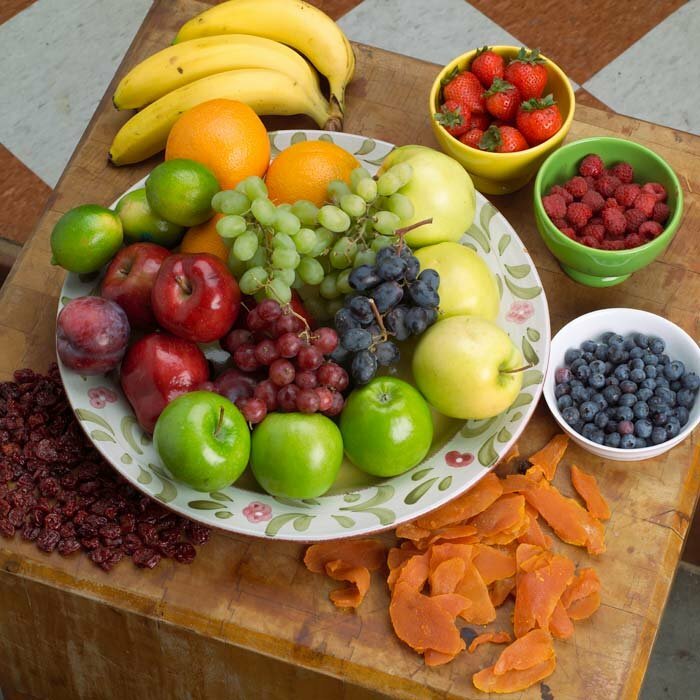 Vitamin and fiber packed fruits will fill you up without the guilt of empty calorie candy. Fruits Are Packed With Vitamins And Fiber. Meaning, instead of a whole fat cheese, use low fat cheese. Instead of ground beef for your hamburger, use ground turkey instead. And you can do the same with hot dogs by substituting the real high fat ones with low-fat low-sodium turkey hot dogs. Delight in a plate of fresh seasonal fruits. Well with fruits and vegetables that is! Aim to eat as many different colors that you can to make it fun and interesting while keeping all the taste without the calories. Focus on walnuts, avocados, olive oils, and fish containing Omega-3 fats. You will shed those unwanted pounds while feeling full and not deprived. View Omega-3 Fatty Acid Products Sorted By Top Sellers Here. Instead of butter, salt, oil, and frying foods to make them taste good, stock up on salt free seasonings and lemon to make your food taste great without all the unnecessary calories. With your salad that is. Instead of the pale iceberg lettuce that has little nutritional value, switch to dark, colorful greens which are vitamin rich. Colorful Greens Are Vitamin Rich. Instead of guzzling about 300-400 calories in about 3 gulps (Starbucks anyone? ), enjoy chewing and tasting your calories. And just sticking with water and forgoing those expensive calorie high drinks you will for sure lose weight. Just switching the way you cook or order food can save you hundreds of calories! Opt for a grilled chicken salad instead of fried and watch the pounds melt off! It has been proven that jumping rope is one of the most effective and efficient calorie burners that you can do anywhere! They are light to pack, fun to use, and jumping rope gives you results. Aim not to eat after 8:00pm or 2 hours before your bedtime. If you do get uncontrollably hungry, have a small serving of a high fiber cereal with skim milk. This will fill you up without derailing your diet efforts. 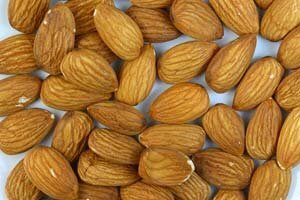 Enjoy a handful of raw unsalted almonds or walnuts as a snack (about 12 pieces). Nuts are both good for you and will cut your hunger pains in half. Enjoy A Handful Of Unsalted Almonds. Feeling tired? Then instead of grabbing a sugary snack to get you going, take a quick 10-20 minute power nap. You will feel more energized without loading up on calories. When you are pressured, do you reach for food? Start to retrain yourself to solve your problem without the false security of food. Cheating means paying for it tomorrow. Remind yourself that an instant of the lips means months on the hips! Instead of an entire "Cheat Day" which you could eat up to over 4,000 calories, enjoy a small treat that won't derail all your efforts.